This vintage belt was made in the late 1940s as a souvenir of Yellowstone National Park. 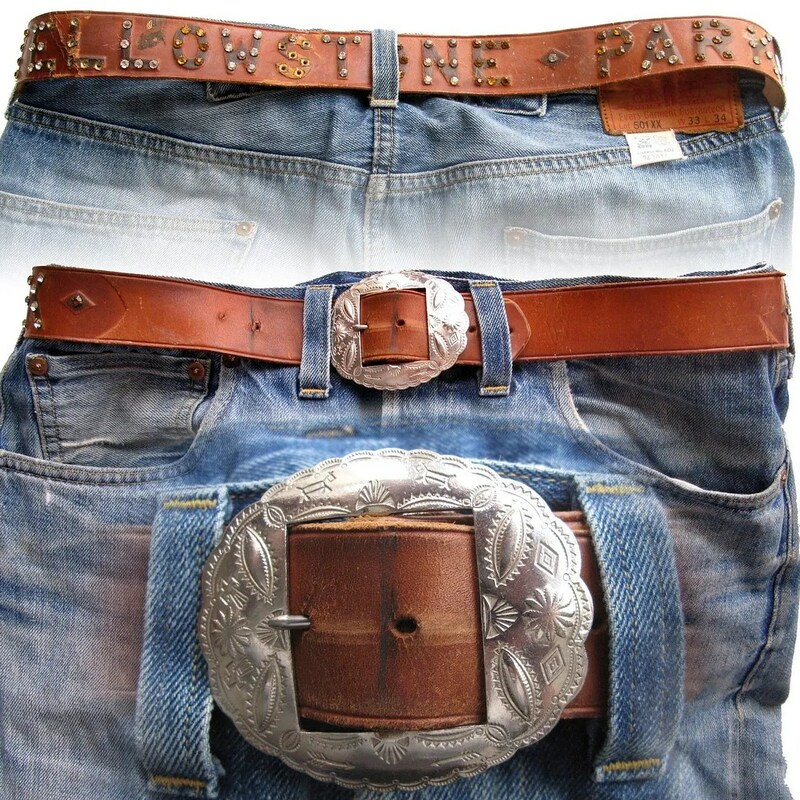 It has the belt buckle commonly used on this era of studded belt. The studwork spelling out Yellowstone Park is done in rhinestones instead of the more typical solid metal studs. It is stamped on the back a size 36 and measures 32″ to the smallest hole and 37″ to the largest. This entry was posted in Accessories and tagged 1940s, belt, clothing, cowboy, fashion, jeweled, leather, mens, rhinestone, souvenir, studded, style, vintage, western, Yellowstone National Park, Yellowstone Park by Spencer Stewart. Bookmark the permalink.